$400 below NADA Retail! 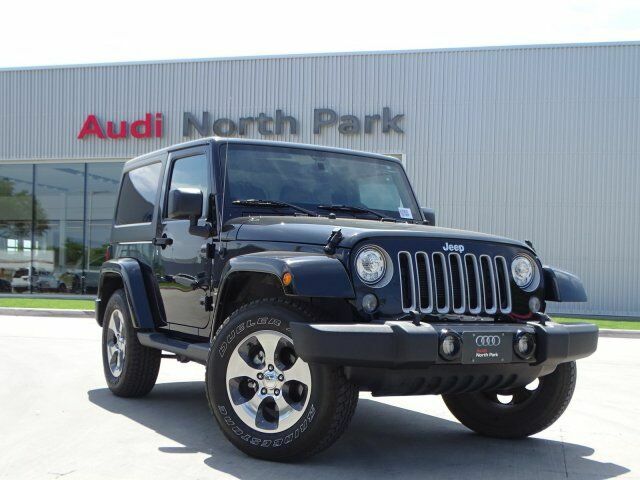 Leather Seats, NAV, CD Player, Running Boards, 4x4, Alloy Wheels, TRANSMISSION: 5-SPEED AUTOMATIC (W5A5... CONNECTIVITY GROUP, ENGINE: 3.6L V6 24V VVT, RADIO: 430 NAV, BLACK 3-PIECE HARD TOP AND MORE! Leather Seats, Running Boards, CD Player. Jeep Sahara with Black Clear Coat exterior and Dark Saddle/Black interior features a V6 Cylinder Engine with 285 HP at 6400 RPM*. TRANSMISSION: 5-SPEED AUTOMATIC (W5A580) Hill Descent Control, Tip Start, RADIO: 430 NAV SiriusXM Travel Link, 6.5" Touchscreen Display, GPS Navigation, 40GB Hard Drive w/28GB Available, Remote USB Port, BLACK 3-PIECE HARD TOP Rear Window Defroster, Delete Sunrider Soft Top, Freedom Panel Storage Bag, Rear Window Wiper/Washer, CONNECTIVITY GROUP Uconnect Voice Command w/Bluetooth, Vehicle Information Center, Tire Pressure Monitoring Display, ENGINE: 3.6L V6 24V VVT (STD). 4x4, Aluminum Wheels, Keyless Entry, Privacy Glass, Steering Wheel Controls, Rollover Protection System, Electronic Stability Control. This Wrangler JK is priced $400 below NADA Retail.